When August begins, many adults with children start to think about “Back to School." They wonder whether a summer of cartoons, beach going and playing outdoors has wiped out all that their child learned the previous year. Parents can help students get back into the routine of school by giving them small reading tasks to complete during the month of August. Asking kids to read a book is not quite enough. Even primary age children are able to express their thoughts and feelings about what they read or even what you read to them. Take some early steps to get them ready for those “dreaded" book reports they will have to complete once school begins again. 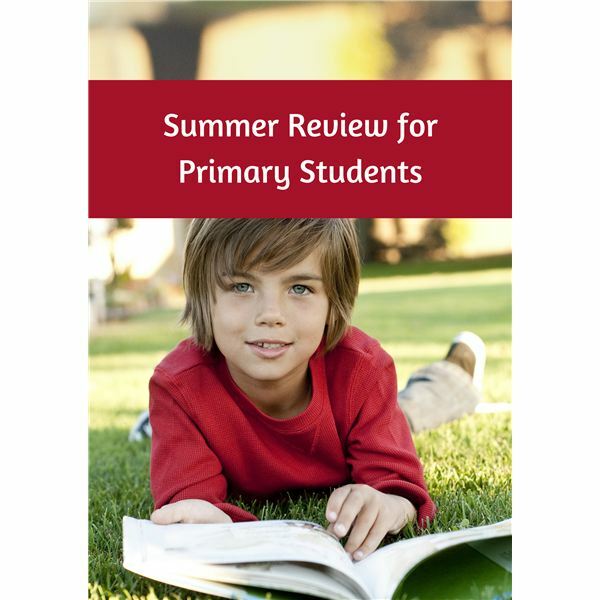 Use the downloadable workbook, complete with reading suggestions and worksheet pages for book reviews. The worksheets allow students to express themselves in several ways from rating the books to writing simple sentences about the books and then illustrating a scene. Students get into the habit of putting reading and writing together as well as expressing their own opinions on what they read. The workbook suggests that children read at least three of the books on the seven-book list, but you can always have them read a few more. This compact and easy to use summer practice will enhance their skill set for the upcoming school year. The books listed are all on a first to second grade reading level and range in topic from humorous to somewhat serious. Give all the books a read first and steer your child to the ones with the most appropriate vocabulary for his or her reading level. Although no child likes to do homework in the summertime, the summer season lends itself perfectly to reinforcing social studies skills that the primary grades cover. Students in grades one and two are not quite at the point where they can memorize all the states and capitals or recite the Preamble to the Constitution, but that does not mean that they do not have a grasp of early social studies skills and concepts. In the primary grades, this curricular area centers on the basic study of people and places. What better way to get a head start on social studies projects than to begin in the summer? After all, your child has spent the summer months doing any number of fun activities and perhaps even traveling to a few different places. Use that to your advantage and start some basic social studies review this summer. Use the downloadable workbook, which comes with three plans for success. First, let your child talk about him or herself. Have your child complete the Timeline of Me worksheet, which asks kids to look back on themselves as babies, honestly reflect on what skills they have perfected at their age, and look to what they want to be in the future. Once they have spent some time on that task, use your summer vacation to help them with the “places" focus of social studies. Teach them how to address envelopes correctly using the blank envelope worksheet. Have them address it to you so they also practice writing their home address! Close up the lessons with a postcard writing activity that kids can mail off to Grandpa, Grandma or a favorite aunt or uncle. Social studies can be oh so much fun in the summertime! This two-part series includes lesson ideas and free downloadable workbooks that parents can use to help their children learn reading, social studies, math and science during their summer breaks.